The Money Ways » Debt » Should I Pay Off My Car Loan Early? So you’ve saved some money and are trying to reduce your monthly expenses to get your household budget in order. Should you pay off your car loan early? Let’s go over the pros and cons of paying your car loan early. First of all, find out what interest rate you’re paying on your loan and compare that to the opportunity cost of investing that money elsewhere. Look at the expected rate you would earn on that money if you invested it. If you would put it into a savings account and only earn a percent or less, then you would be doing better by paying off the car loan, assuming its a higher rate than your savings rate. If you would invest the money that you are planning to pay off the car loan with in stocks, your expected return would be in the range of 5-15%. Compare this to your car loan and see which is higher. Basically, the higher the loan rate on your car, the more sense it makes to pay down your loan early. Another important factor in your consideration is your monthly budget situation. If you are running about breakeven on your budget, as in you are spending about what you earn, then paying off your car loan will eliminate your car payment and put you into the black on your monthly budget. You can then use that extra money to save each month. For some, this gives enough peace of mind that it is worth it to pay off the debt early. It also eliminates one more creditor! The next factor to look at before making your decision is your other debt situation. Most people have many different debts, including credit cards, car loans, mortgages and student loans. Before you pay off your car loan, make sure that you pay off any higher interest rate debt first. Because your mortgage and student loans are tax deductible, it probably doesn’t make sense to pay them off first, even if they are a slightly higher interest rate. However, if you have any credit card or unsecured debt, you should pay that off first, even if it’s at a lower rate (because credit card terms can change at any time). So you’re almost ready to make your decision, there are just two more things to take into account. Your savings situation and your comfort level. Before paying off your car loan you should make sure that you have enough money saved to cover any unemployment or unforeseen circumstances. There is no magic amount of savings needed, but most advisors recommend between 3-6 months of savings, with this amount being increased as you get older. Finally, gauge your comfort level. In other words, how good does it make you feel to get rid of your car payment and another creditor? Do you sometimes worry about having that car loan? If you are still on the fence as to pay off your car loan or not, use this as the deciding factor. Just remember, you can’t get the money back after paying off your loan if you should need it for something else. Good luck with your decision! Should You Refinance Your Mortgage or Not? For me, it made sense to pay off my car loan early because of the sense of satisfaction it gave me. Just knowing that my overall monthly payments would be lower going forward made me feel more motivated to save more money each month. Also, I didn’t go out and buy a new car like some of my family members have done after they paid off their car. Laying out a large sum of cash to purchase a car outright can place a huge burden on your checking or savings account. An auto loan will give you the advantage of buying a vehicle with monthly payments you can afford. Auto loans also help build your credit rating, provided that you make the payments on time, and give you the opportunity to buy a better vehicle that may have been too expensive if you were to pay cash. These are great tips for car loan. Car loan is not simple in which we could easily pay off, so these tips are definitely helpful and planning ahead is also useful. If we only have the money, it would be very nice to pay off our car loan earlier. Hello Chris! Thank you for sharing these ideas about car loans. With regards to the one you mentioned about stocks I if it is just an extra money and you have the guts to take the risk in investing on stocks then I will go for it. Here in our country normally we apply for a car loan in a 5-year term but I think paying the car loan early if you have an extra money is a good idea. I’m not too much of a risk taker though which I think is a bad thing. Yes, if you can pay off te complete loan wothout causing budgetary problems for yourself – do it! Or, any month that you can afford to pay a but more off the loan than the regular monthly amount – do it. A car depreciates evry single time it’s driven so it it worth getting it fully paid for. I have nearly 14 months left on my car payment which is around $275 per month. I am losing some benefits next month, so things will be very tight from month to month. I am looking for ways to get this debt paid so that my budget is comfortable for the family as I am also a single parent. I did find out the other day at the bank, for every car payment I make ahead of schedule, I could potentially save $20 each month in interest. This does not sound like much to some people, but if I could pay this off tomorrow, then I could save $280 in interest. I would take you more seriously if you would stop referring to a creditor as a debtor – you have them reversed, and this makes me question your financial expertise. Yes, my bad, I changed debtor to creditor. You are right, debtor is one that owes debt, creditor is one that gives credit. I enjoyed reading this article. I definitely agree that we have to consider our savings situation and comfort level. We also have to plan ahead of time so we won’t have any regrets in our car loans. It’s wise that you pointed out to take into consideration your other financial/debt obligations prior to paying off a car loan. I’ve gone to pay off my car loan in one large hit once or twice in the past but I’ve gone against it because I have a tendency to play it safe. Each time, not long after I considered outlaying a lot of money to pay off that loan, a new obligation reared its ugly head, making me breath a sigh of relief. Paying off your car loan is incredibly tempting but, just as you’ve mentioned, you need to be well and truly across all of your other obligations first. I personally agree in paying off your loan early since that will give a positive impression to your lender. In other cases like when you took an appliance for an installment paying earlier makes some deductions to your bill but this is with respect to the terms you have signed with the company. Owning a car is a dream of every people. Because of low salary and dearness people take financial help to buy car. Many lender and loan companies offering car loans. I totally agree that cars loans are offered with high interest rate. But good for those people who want to buy car immediately. If your monthly income is good then you can pay cars loans early without any problem. Some of the benefits of a car balloon loan include a lower deposit, lower interest rate and lower monthly payments as the payments and deposit only cover the interest. However, at the end of the loan term, borrowers will need to find the money to make the final lump sum payment or refinance the outstanding amount. For you credit score it will be better to keep making the payments, rather than pay the whole thing off. 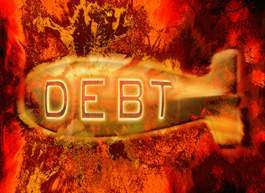 Rohit sharma recently posted..Managing your Federal student loan debt – Can you opt for debt consolidation? I liked what you said about your expected return would be in the range of 5-15%. Compare this to your car loan and see which is higher. Basically, the higher the loan rate on your car, the more sense it makes to pay down your loan early. Wouldn’t it be easier to try NOT to get loans? Our lives would be much-much better! Well,if we are comfortable with our financial situations this could be true. We could try and eliminate as many loans we can as well our worries on paying them back. to have payments which I could use for other priorities.So the solution was to get a used car. it means a lot! Look for solutions , search for ways and you CAN SAVE !! !